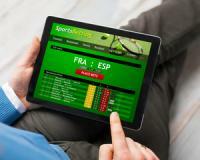 A step-by-step guide on how to place a winning sports bet! I've noticed some of The Winning Streak members do not know how to place a bet, or even a multiple bet. So to help solve this problem I'm going to give you a step-by-step guide that will show you exactly how to place a single and multiple bet. Correctly follow these simple steps, and you'll never miss out on a winning bet again! Imagine taking a few minutes to go online, place this simple trade and then watch your money accelerate from R1,000 to R1,540, R1,660 or R1,700. – sometimes in less than a day. What is a single and what is a multiple bet? A single bet is a bet placed on a single outcome. Meaning if you bet on New Zealand beating the British and Irish Lions. New Zealand winning the game means you win, if they lose you lose. Now a multiple or an accumulator is a bet placed on more than one outcome. Meaning you would group two or more bets together. But, both bets have to be winners in order for the bookie to pay out your multiple bet. Using World Sports Betting as an example, I’ll show you step by step on how to place both a single and a multiple bet. 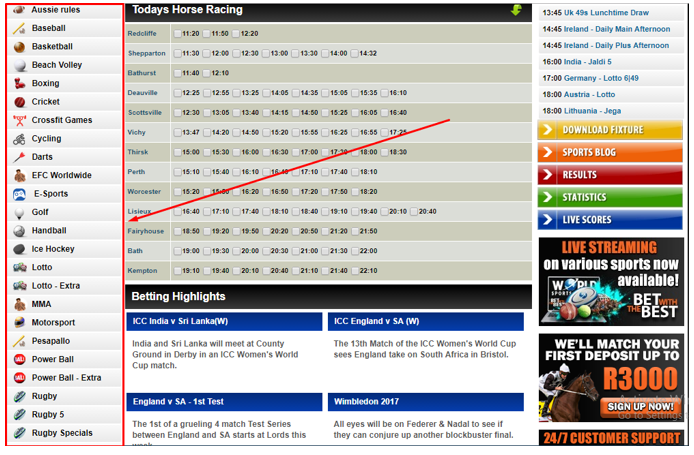 On the left hand side bar, you’ll see all the sports the bookie offers. Sports ranging from Horse Racing, Basketball, Motorsports, Rugby and even Waterpolo. For the purpose of this example, I will be choosing MMA. Now, having done my research on the following fight between Marc Diakiese and Drakkar Klose, my chosen fighter to win is Marc Diakiese. So, I click on the price offered for him, which is 0.3. When you click on the price offered, your Bet slip will open up showing you your chosen single bet. This is where you will put in your stake. 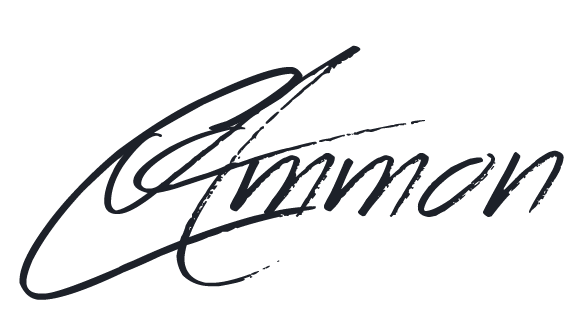 Once your stake is in, it will show you what you will be paid out, minus your initial stake. By clicking the “Process Bet” button, you will lock in your bet and your account will be debited. This is how you place a single bet. As shown above, I have chosen Marc Diakiese and Elias Theodorou to win. With both fighters chosen, the bet slip will appear like this, with a multiples section under your chosen outcomes. Place your stake in the box highlighted and click the “Process Bet” button to lock in your multiple bet. Important Note: In order for your multiple bet to become a winner, both of the chosen fighters will have to win. I hope this clears any confusion up on how to place a single and a multiple bet. If sports betting is something you are interested in, Join The Winning Streak Team, And you will start seeing profits in the weeks to come.